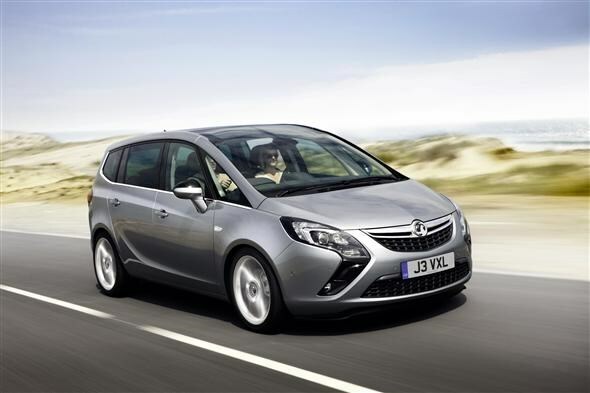 Vauxhall has unveiled the full production version of the new Zafira Tourer, having shown off the concept at this year's Geneva Motor Show. Compared with the current Zafira, the Tourer is nearly 57mm longer and it's wider too - 96mm at the front and 78mm at the back. The chassis is brand new, although it does share some components with the slightly smaller Insignia. Vauxhall claims that the latest iteration of the popular people carrier will raise the bar for design, luxury, flexibility and innovation, in what is a tough market to top. There are two new engines - a 1.4-litre turbocharged petrol engine with 138bhp and a 2.0-litre diesel available in three power outputs; 109, 128 and 163bhp. These come with a six-speed manual gearbox, with the option of a six-speed automatic gearbox on some models. The new engines join an old 1.8-litre petrol unit making 138bhp, which is mated to a five-speed manual gearbox. 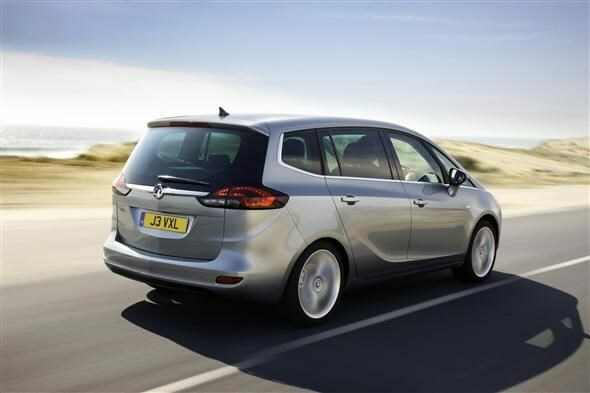 The Tourer uses an evolution of the clever 'Flex7' seating arrangement first seen on the Zafira in 1999, making it possible to position the seats in myriad ways to boost practicality. 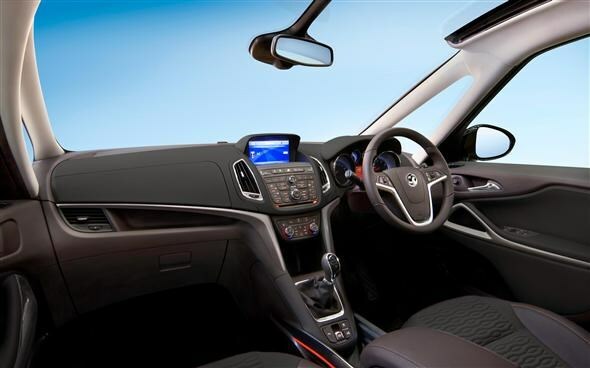 Vauxhall claims its latest iteration of 'Flex7' gives the new model an 'overwhelmingly airy' cabin. In five-seat configuration the Tourer has 710 litres of boot space, while folding all of the rear seats down flat will mean 1860 litres of boot capacity. Other clever storage ideas include a console running between the two front seats including some cup holders and cubbies, and a moveable second row of seats that can go forwards and backwards over a 210mm span, meaning passengers in the third row of seats can get more legroom if required. FlexRide adaptive damping will be available as an optional extra, meaning drivers can switch between 'standard', 'tour' and 'sport' suspension settings depending on their individual requirements. A raft of safety systems will also be available on the car. Active cruise control, lane departure warning, traffic signal recognition, following distance indication, forward collision alert, automatic lighting, blind spot detection, parking assistance and more will feature on the options list. The first cars are due to go on sale later in 2011, with deliveries due in early 2012. Prices are expected to start at around £22,000.